﻿ Sheraton Grand Danang Resort, Da Nang | FROM $151 - SAVE ON AGODA! "The breakfast buffet was standard among its class of hotels." "Maybe play music around the pool." "The private beach is also a nice feature, that is usually reserved for bigger establishments such as this." "The service and staff were all friendly & helpful." 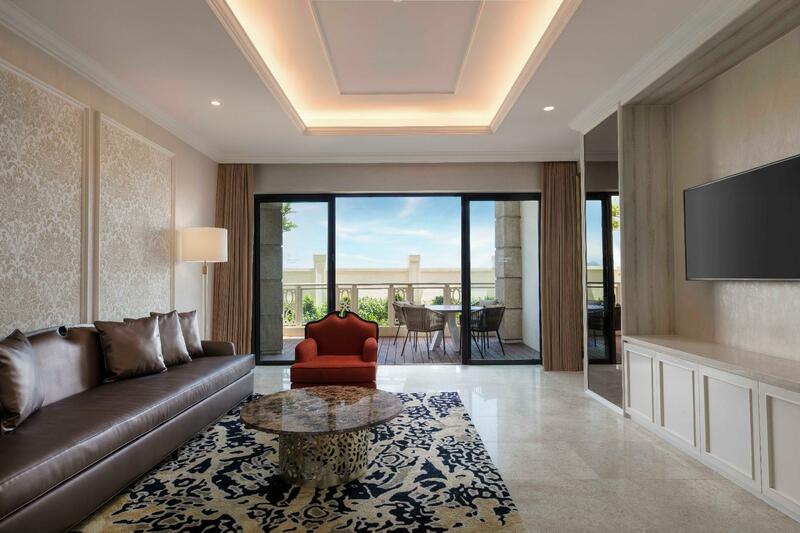 "The Sheraton Danang is a very beautiful property ." 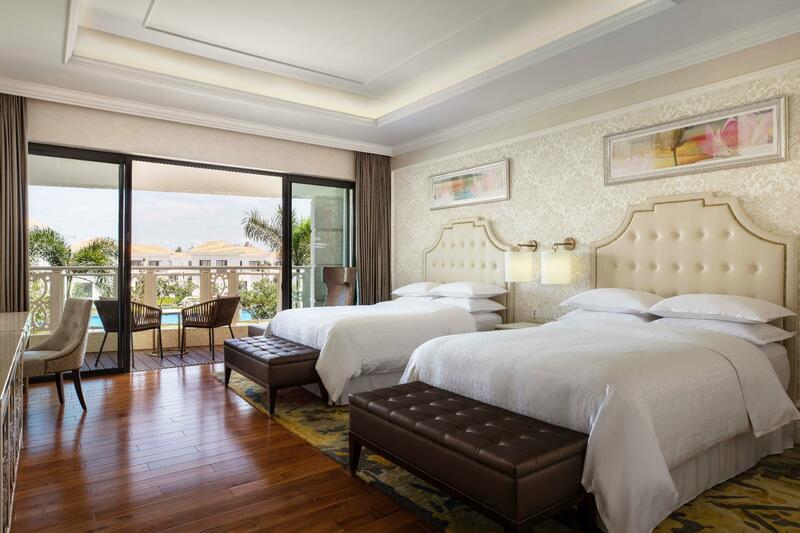 Offering quality accommodations in the sightseeing, beaches district of Da Nang, Sheraton Grand Danang Resort is a popular pick for both business and leisure travelers. From here, guests can make the most of all that the lively city has to offer. With its convenient location, the property offers easy access to the city's must-see destinations. 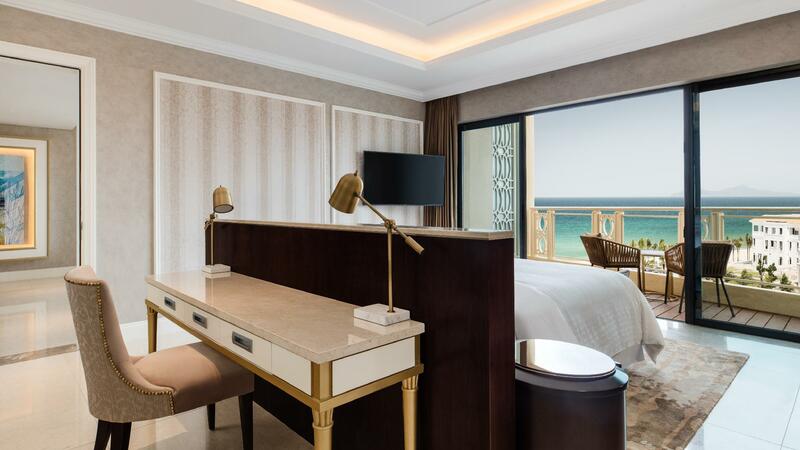 First-rate services and facilities that define the Starwood Hotels & Resorts Worldwide experience await you at Sheraton Grand Danang Resort. The property offers access to a vast array of services, including 24-hour room service, wheelchair accessible, 24-hour front desk, luggage storage, Wi-Fi in public areas. 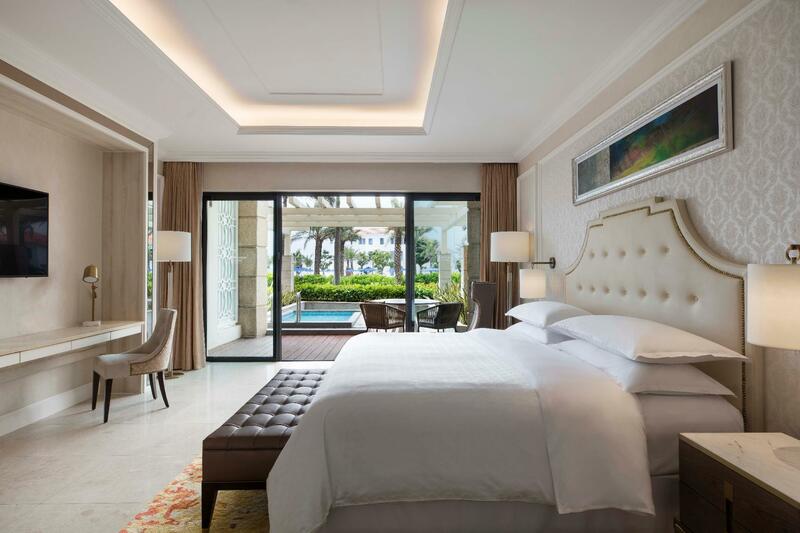 Guests can choose from 258 rooms, all of which exude an atmosphere of total peace and harmony. 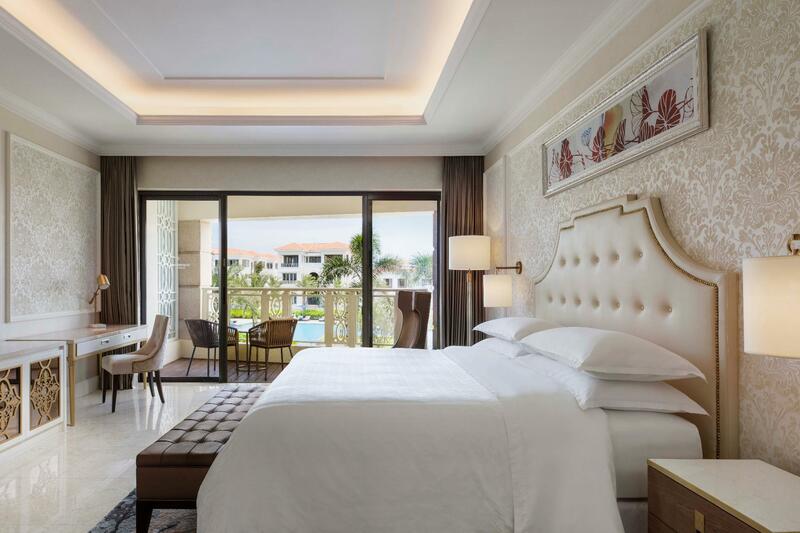 The property's recreational facilities, which include fitness center, outdoor pool, massage, pool (kids) are designed for escape and relaxation. 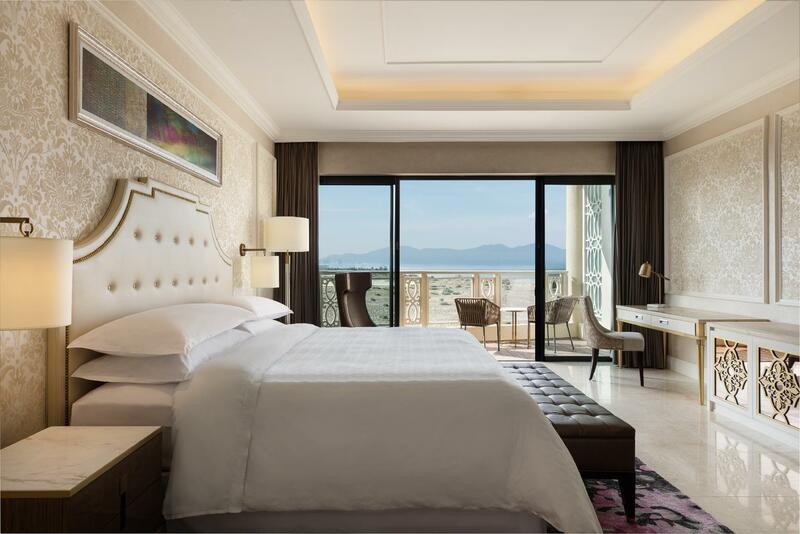 Discover an engaging blend of professional service and a wide array of features at Sheraton Grand Danang Resort. "The property is very nice with an impressive pool." Excellent services all through out specially staff at Table 88. Dear Marjorie, Thank you so much for your kind words. We are very happy to hear that you had a wonderful time in one of our outlet, Table88. We will share this comment to our team for our encouragement. Please do let us know whenever your plan bring you back to Danang again in the future. Kind regards, Sheraton Grand Danang. Dear. Nhan, We really appreciate you taking time to share your experience with us. We understand that your stay was not satisfying as you hoped it would be. Please accept our sincere apologies. We would share your feedback with all the related departments, so we can work on it as soon as possible. Again, thank you for sharing your experience. We promise that we will show the improvements when you come back to our hotel. Sincerely, Sheraton Grand Danang Resort. We loved our time at Sheraton Grand. What you have created is lovely but still have some more to go. Area of opportunity is - shuttle bus to HoiAn more often and free. - the atmosphere needs a little help; maybe play music around the pool. Make us of the BBQ area with special nights. - On arrival maybe have the guest seated with a cold drink and do the check in. Dear Cheralyn, Thanks for sharing your experience with us while at our resort. It's really nice to know that you loved your time at Sheraton Grand Danang. We always try our best to make sure that all the guests can enjoy their memorable time during the stay. Also, about the feedback you gave us, We really appreciate about it and shared with the relevant team. Right now, we offer Private BBQ service for the guests and it requires booking in advance. You can enjoy the private and romantic BBQ at the beach area or pool-side. And you can enjoy your cold welcome drinks at the reception building when you check-in. Again, we really appreciate your constructive comments and look forward to welcoming you soon in the future. Best regards, Sheraton Grand Danang Resort. It may be the longest pool (?) in Vietnam (? ), gotta check that. The service and staff were all friendly & helpful. The swimming pool is the centerpiece of this hotel. It spans from the beach to the lobby building, and this site is long. The kids play rooms were decent for a few hours to occupy the young ones. The breakfast buffet was standard among its class of hotels. There were some little things that proved inconvenient to some of us: broken shower head, snails and crabs crawling around the room, dead bugs in the private pool, live bugs entering our room. The private beach is also a nice feature, that is usually reserved for bigger establishments such as this. Dear Richmond, We appreciate you taking time to share with us your experience while at our hotel. Thank you for your positive comments about our facilities, service, and signature pool which is the longest pool in Danang. We are very pleased that you enjoyed your stay at our hotel. Also, please accept our apology about the unexpected inconvenience you experienced. We are continuously working on the issue you shared, through insect control to improve the condition in the summer season. Thanks for your constructive feedback. Once again, thank you for sharing with us your experience and we are looking forward to welcoming you back for another holiday. Warmest regards, Sheraton Grand Danang Resort. not enough information of the Hotel. No reward for booking with agora as discount. The Sheraton Danang is a very beautiful property .. it has a swimming pool which is almost the length of the hotel.. however on arrival the lobby was so uncomfortable as the AIr condition was not working very well .. we had booked a Garden Suite n we were very happy to be upgraded to the honeymoon suite .. since our rooms were not ready we thought we would have a snack at the restaurant .. which was also quite warm .. food took quite a long time although the restaurant was literally empty .. our room was really awesome .. a lovely sitting room, King bed n dinning room area over looking the pool and ocean .. we felt spoilt .. however here too the air conditioning was not working very well .. after many trips by the engineering dept .. our AC was finally attended to .. services takes a long time merely because the hotel is very big .. n a very big problem the hotel faces is that the staff are very poor in communicating n understanding English .. the breakfast buffet is awesome..
Dear Rosanna, Thank you for your kind words about our resort and you constructive feedback for our improvement. Please accept our sincerely apologize for the issue that happened during your stay. We already noted down your comment for attentive and personalize service. The plan to improve the AC is also under going. Kindly let us know whenever you have plan to come back to Danang city again. Warmest regards, Sheraton Grand Danang Resort. The facilities and the staff was fantastic, only the food available was limited. However a great place to take you family, we had decided with the Sheraton as it is one of the few places that allow both our under 12 years stayed for no charge using the existing bedding. Will Definitely return. Dear Khang, Thank you for choosing us and we learn that you and your family had a great experience during your stay. We already addressed the variety of food to our team for our continuous improvement. 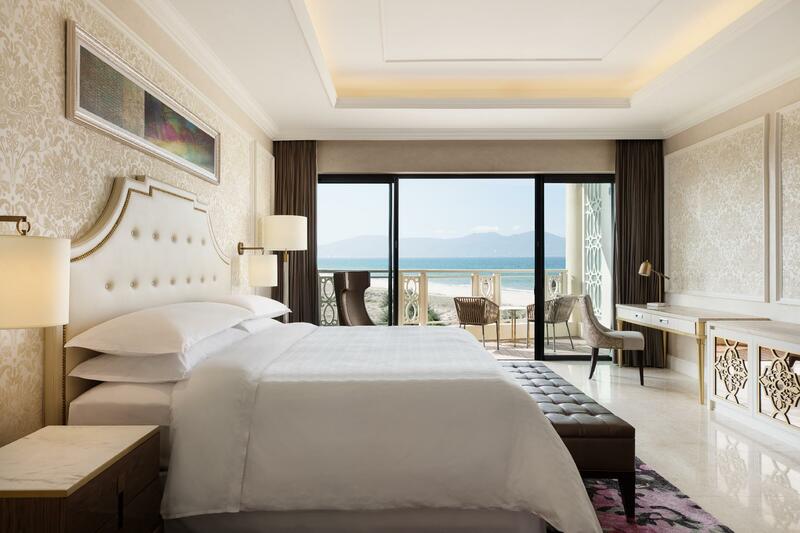 We expect to welcome you back to Sheraton Grand Danang Resort. Kind regards, Sheraton Grand Danang Resort. Dear keita, Thank you for staying and sharing your experience with us. We are happy to hear that you enjoyed the resort and all the facilities. Your comment about our service was shared to our team for further improvement. Please let us know if you have plan to go back to Danang again. Kind regards, Sheraton Grand Danang. 뷰는 풀뷰가 좋고요 250m 수영장과 인피니티풀 전용비치가 장점 전용비치에는 축구장 족구장 농구 ? 공도 다 준비 되어 있고요 다만 바도가 높습니다 ㅎㅎ 거리는 미케비치에서 15분? 호이안에서 20분정도 걸리네요 5성급이니 리조트시설과 청결 숙소안 모든 부분들이 만점입니다 ~ 럭셔리해요 전 주중이용이라 그런지 한가하고 너무 좋았습니다 . 강추합니다 ..
Dear Han, Thank you for staying with us at Sheraton Grand Danang. We are very happy to hear that you enjoyed the stay and all the resort's facilities here. If you need any further inquiry in the future for your plan back to Danang, please let us know. Looking forward to welcome you back at the soonest. Kind regards, Sheraton Grand Danang. Dear Ahyeon, Thank you for staying with us and sharing your experience of your stay. We are happy to hear that you enjoyed our facilities especially the signature swimming pool. Providing the highest level of service to all our guest is always our top priority. However, this time we did not meet your expectation. We will share this feedback among our management team for future improvement. If you plan to come back to Danang in the future, please do hesitate to let us know. Kind regards, Sheraton Grand Danang. Dear Lee, We are so sorry to hear about the situation you experienced. Please accept our sincerely apologize and we will take this as a lesson for our team in the future. If you plan to go back to Danang, please let us know so we can make it up for you. We do have also Korean speaker around the resort for now so we can communicate with you better. Kind regards, Sheraton Grand Danang. 체크인 전에도 물어봤는데 맞다고 해서 가보니 베이뷰로 방을 줌. 사람 간본것 같은 느낌이 들었음. 컴플레인 걸었더니 아고다 어플 상 방이 남아있는데도 오션뷰는 꽉찼다고 함. 내가 돈을 더 내고 오션뷰를 예약한건데 보상은 어떻게 해줄거냐고 따짐. 보상은 못해준다고 함. 어이가 없어서 자세히 설명했더니 6시 이후에 방을 바꿔준다고 함. 그 외 시설 및 서비스는 다 좋으나 뷰에 따라 호텔측에서 배정을 잘 못하고 있는것 같음. 그리고 전날 새벽에 예약하면 33만원 다음 날 낮에 예약하면 22만원임 참고. Dear 우진 , Greeting from Sheraton Grand Danang! Please accept our sincerely apologize for the experience you faced last visit. We do our best to provide the highest level of service to all our guest but this time we did not meet your expectation. We do share this as a lesson for our improvement. If you have plan to go back to Danang, please let us know so we can welcome you back and well prepare for you. Kind regards, Sheraton Grand Danang. 오며 가며 교통비가 들고 한번 들어오면 나갔다 오기 어려운 애매한 위치지만 리조트에만 있었던거 후회할 틈 없을 정도로 좋아요! 수영장 최고!! 밤에도 놀 수 있어서 좋아요! Dear Yujin, Thank you for your kind words. Providing the highest level of customer service is our first priority and we are glad to hear that you enjoyed your stay. Kind regards, Sheraton Grand Danang. Misol 귀하, 안녕하세요 Sheraton Grand Danang Resort입니다. 먼저 귀한 시간을 내어 소중한 리뷰를 남겨주신 귀하께 진심으로 감사드립니다. 저희 호텔은 항상 모든 투숙객 여러분들의 행복하고 안전한 휴식을 위해 최선을 다해 노력하고 있습니다. 귀하꼐서 저희의 시그니처 인피니티풀에 특히 만족하셨다니 정말 기쁩니다. 쉐라톤 그랜드 다낭 리조트의 시그니처 인피니티풀은 직선거리 250m로 다낭에서 최장길이를 자랑하고 있습니다. 부디 머무신 동안 즐거운 시간 되셨길 바라며, 추후 다낭에 재방문 하실 때 꼭 다시 뵐 수 있기를 고대합니다. 진심을 담아, Sheraton Grand Danang Resort. EUN 귀하, 안녕하세요 쉐라톤 그랜드 다낭 리조트입니다. 먼저 귀한 시간을 내어 소중한 리뷰를 남겨주신 점에 진심으로 감사드립니다. 저희 호텔은 항상 모든 투숙객들의 행복하고 안전한 휴식을 위해 최선을 다해 노력하고 있습니다. 귀하께서 저희 직원들의 서비스와 시설에 특히 만족하셨다니 정말 다행입니다. 부디 머무신 동안 즐거운 추억 많이 만드셨길 바라며, 추후 다낭에 재방문 하실 때 꼭 다시 뵐 수 있기를 고대합니다. 2019년 새해 복 많이 받으시고 항상 건강하십시오. 진심을 담아, Sheraton Grand Danang Resort. 숙소에서 할 수 있는게 많이 없습니다. 비가 와서 수영도 힘들고, 조식도 그냥 그래요. 가격대비 효율성은 별로라고 생각합니다. 장점은 호이안이랑 다낭이랑 중간지점입니다. Seunghwan 귀하, 안녕하세요 Sheraton Grand Danang Resort입니다. 먼저 귀한 시간을 내어 소중한 리뷰를 남겨주셔서 정말 감사드립니다. 저희 호텔은 항상 모든 투숙객들의 행복하고 안전한 휴식을 위해 최선을 다해 노력하고 있습니다. 다낭은 현재 우기 시즌으로, 강하지 않은 비가 자주 내리며 기온이 비교적 선선한 시기입니다. 쉐라톤 그랜드 다낭에서는 이러한 다낭의 날씨를 고려하여 다양한 실내 행사를 계획 중에 있으며, 호텔 내 레스토랑과 바에서도 프로모션 등을 진행하고 있으니 이용에 문의가 있으시면 언제든 주저치 마시고 저희 스탭들에 문의해 주시기 바랍니다. 다시 한번 귀하의 건설적인 피드백에 감사드리며, 추후 다낭에 재방문 하실 때 꼭 다시 뵐 수 있기를 바랍니다. 진심을 담아, Sheraton Grand Danang Resort. 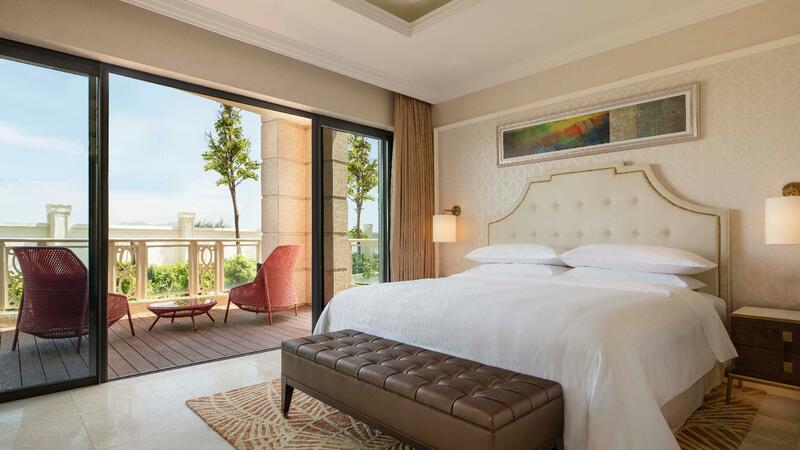 kyungeun 귀하, 안녕하세요 Sheraton Grand Danang Resort입니다. 먼저 귀한 시간을 내어 소중한 리뷰를 남겨주신 점에 감사드립니다. 저희 호텔은 모든 투숙객들의 행복하고 안전한 휴식을 위해 항상 최선을 다해 노력하고 있습니다. 귀하게서 저희 직원들의 서비스와 시설에 만족하셨다니 정말 다행입니다. 쉐라톤 그랜드 다낭의 수영장은 250m 인피니티풀로, 다낭에서는 최장 길이를 자랑하고 있습니다. 부디 저희와 머무시는 동안 행복한 추억 많이 만드셨기 바라며, 추후 다낭에 재방문 하실 때 꼭 다시 뵐 수 있기를 고대합니다. 다시 한번 귀하의 긍정적인 리뷰에 감사드립니다. kyungeun님의 건강과 행복을 바라며, Sheraton Grand Danang Resort. 수영장은 정말 좋습니다. 그러나 화장실 변기에서 냄새가 올라오고 줄서서 카트를 기다리는데도 체크인하는 손님이 먼저라며 앞질러 버리더라고요... 줄서있는데 그런게 어디있냐고 항의했지만 소용없었고 나중에 프론트에서 항의를 따로 했습니다. 기분이 매우 안좋았어요.. 오픈한지 얼마 안되서 어수선하고 수영장 바닥에는 여러가지가 굴러다닙니다. 넓으니 청소하기가 힘들겠죠... 오픈한지 얼마 안되서 그런지 좀 안정화 되면 가는게 좋을듯 싶어요..
HYEYOUNG 귀하, 안녕하십니까 Sheraton Grand Danang Resort입니다. 먼저 귀한 시간을 내어 소중한 리뷰를 남겨 주신 점에 진심으로 감사드립니다. 쉐라톤 그랜드 다낭 리조트는 모든 투숙객 여러분들의 행복하고 안전한 휴식을 위해 항상 최선을 다해 노력하고 있습니다. 그럼에도 불구하고 발생한 불편 사항에 대해, 전 직원들을 대표해 고개숙여 사과드립니다. 귀하께서 공유해 주신 내용들은 관련 팀들과 공유되었으며 최대한 빠른 시일 내에 개선방안을 마련하려 노력하고 있습니다. 화장실 냄새건은 내부 팬의 작동에 문제가 있는지 조사를 시작하였고, 수영장의 청소는 정규 3일 시행과 더불어 2019년부터 3대의 자동 클리닝 로봇을 24시간 가동할 예정임을 알려드립니다. 마지막으로, 버기카 서비스는 선착순으로 제공해드리는 것이 일반 규정이며 해당 사항이 지켜지지 않아 불편을 겪으신 것 같습니다. 다음과 같은 일이 두번 다시 발생하는 일이 없도록 현재 2대의 버기카를 추가 도입하는 과정중에 있으며, 이에 다시 한번 진심으로 사과드립니다. 추후 다낭에 재방문 하실때 꼭 저희의 발전한 모습을 보여드릴 수 있기를 고대합니다. 진심을 담아, Shearaton Grand Danang Resort.